Having a problem with graveyard grasshopper and need to know what insecticide to use. This grasshopper is tough but we have a spray that can knock them down. So if they’re invading from all around, spray your turf using BIFEN XTS at a rate of .25 oz per 1,000 sq/ft. This will knock them down and keep killing them for several weeks but renew the treatment as needed when your property is experiencing massive invasions. 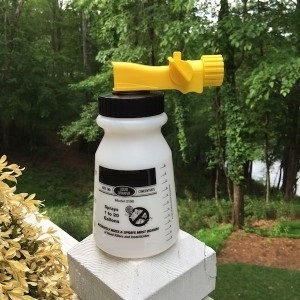 Use a HOSE END SPRAYER to apply the Bifen. Add 1.25 oz and fill the sprayer up to the 5 gallon line and spray the entire amount over 5,000 sq/ft. 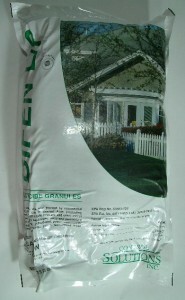 If you believe they’re breeding in your yard already, apply BIFEN GRANULES first at a rate of 6 lb’s per 5,000 sq/ft.